Heads up for those house-hunting in Pennsylvania: A house in Shadyside is up for grabs. 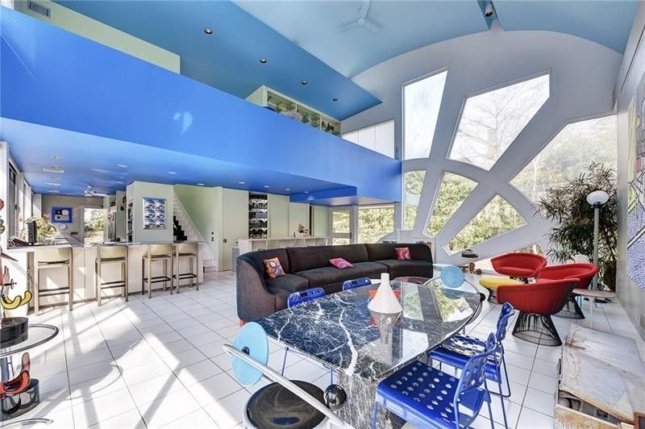 But it’s not just any house; it’s a house designed by famed architects Robert Venturi and Denise Scott Brown. 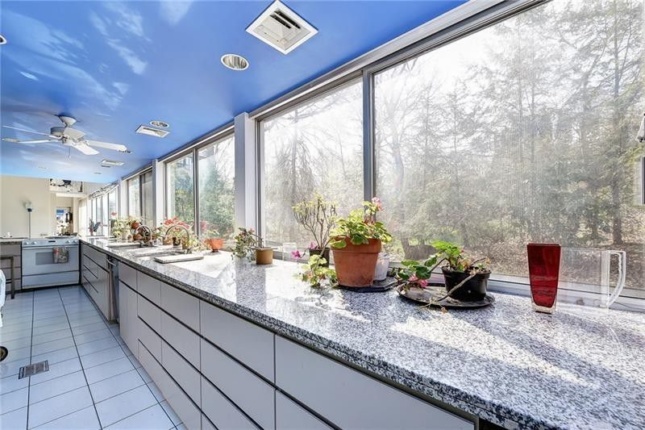 Built in 1983, the Abrams house is a two-bed, two-and-a-half bath house on sale for $1.1 million. It’s located near Chatham University’s campus and is featured by Pittsburgh History and Landmarks Foundation for being one of the select few in the world. Venturi, who won the Pritzker Prize in 1991, and his associated firm Venturi Scott Brown and Associates, is known for breaking away from the stark modernist style of the 1960s. His buildings often feature a playful element, such as the Vanna Venturi house with its broken gable roof. 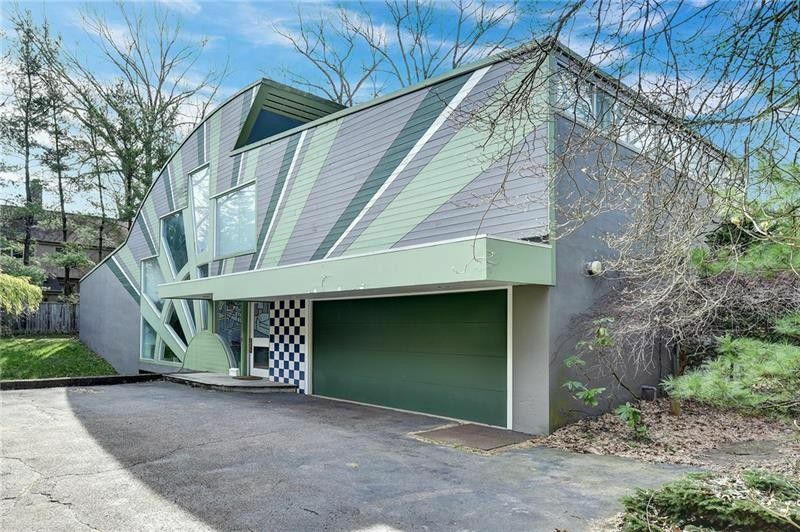 While the Abrams house doesn’t have the same name recognition as the “Mother’s House,” the design is still classically Venturi. As in his other Postmodern buildings, this house juxtaposes classical forms—both inside and out. The roof has a sweeping, curved side that allows for an unorthodox, 20-foot-high vaulted ceiling wall of windows patterned like a ship’s wheel. 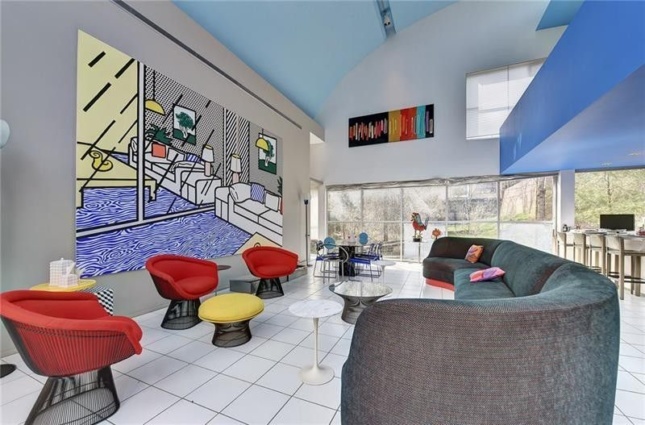 The interior features bold primary colors, and graphic art that complements Venturi’s style. 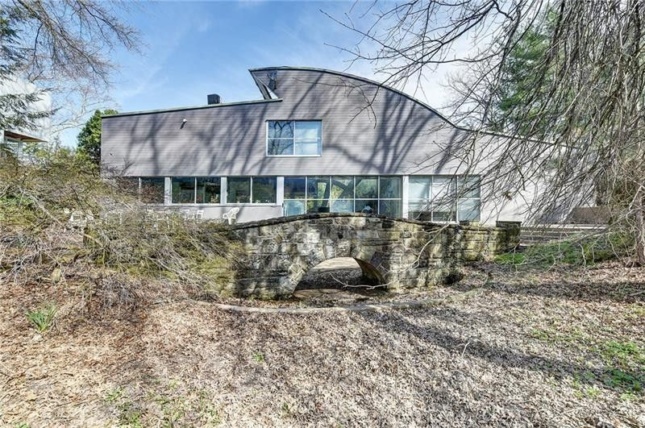 Other highlights include ribbon windows that bring in plenty of natural light, a lap pool, and an idyllic setting that places the house beside a century-old stone bridge. The house is located at 118 Woodland Road and is in the Squirrel Hill North neighborhood of Shadyside. Woodload Road was developed as an elite residential neighborhood in the late nineteenth and early twentieth centuries, according to Pittsburgh Art Places. Houses were designed by other prominent architects, including the Frank House by Walter Gropius and Marcel Breuer and the Giovannitti house by Richard Meier.